Some areas of the pack are 500D. 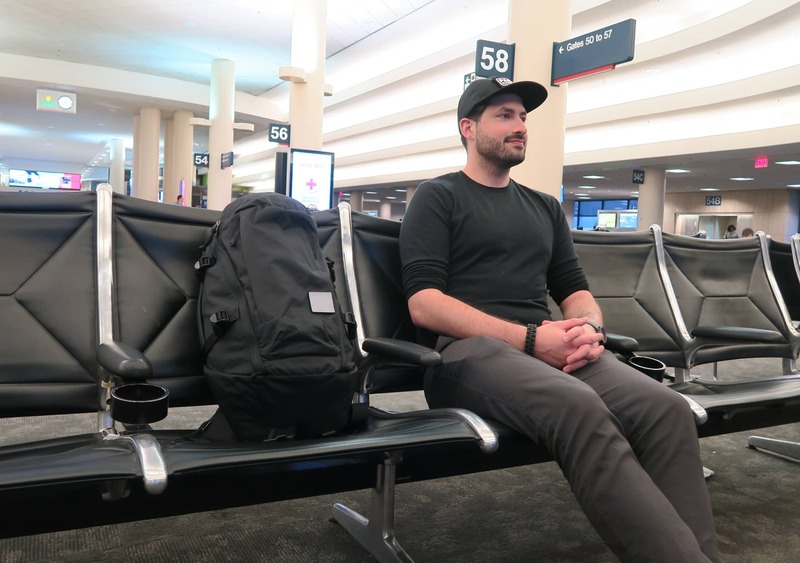 In this review, we are checking out a backpack made by EVERGOODS—a company that was founded by a guy that used to make packs for Patagonia and another guy that made packs for GORUCK. Yes, you read that right. We know what you’re thinking—”Patagonia and GORUCK? Is this the backpack dream team?” We have been asking ourselves the same question for some time now. Will it live up to the hype? Will the dream team knock our socks off? Read on to find out. This is going to be an exciting section because the guys over at EVERGOODS take their materials very seriously. Normally we have to do quite a bit of digging to get the specs on the packs we test, but in this case we had a handy dandy 3-page PDF that gave us all the info we could ever need. Thank you, EVERGOODS. You have given our research team a well-deserved day off. So what are these materials that deserve their own PDF? 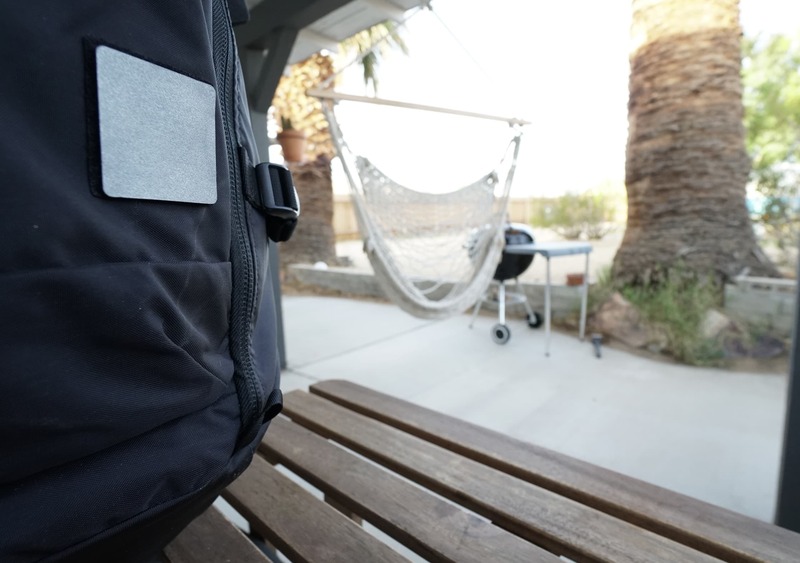 We’ve included our own breakdown below, but for those that aren’t interested in the specifics… This thing is covered in super durable and ergonomic materials—everything from the zippers to the shell, lining, and shoulder straps. It’ll hold up well, and the the materials make it comfortable and easy to use. The shell is made of 420D High Tenacity Nylon 6,6. This provides high tensile strength, heat resistance, abrasion resistance, and has a high strength to weight ratio. 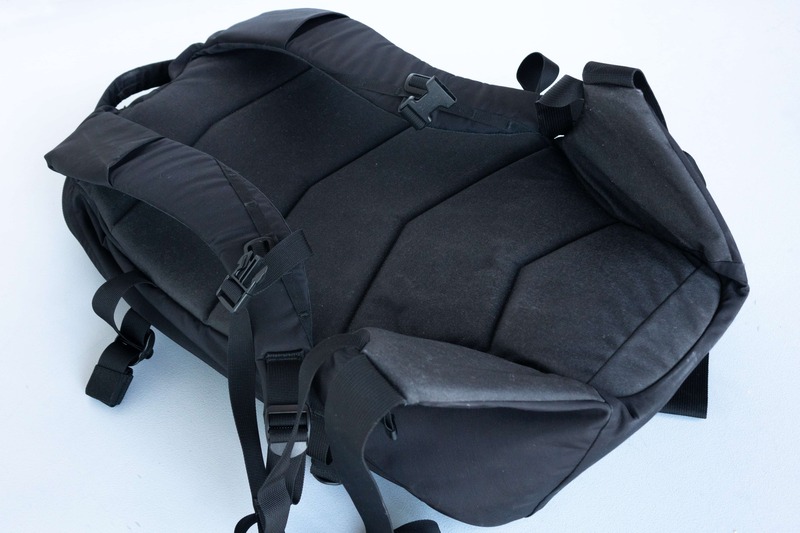 The interior lining is made of the same 420D High Tenacity Nylon as the outer shell. This isn’t your everyday liner, folks. Both materials use a 1×1 Plainweave. This is a great weave pattern that allows for equal tensile and tear strength in both directions, as well as increased abrasion resistance. Both the outer shell and interior lining have a Polyurethane coating that adds water resistance and some stiffness. It’s water resistant, but certainly not waterproof. 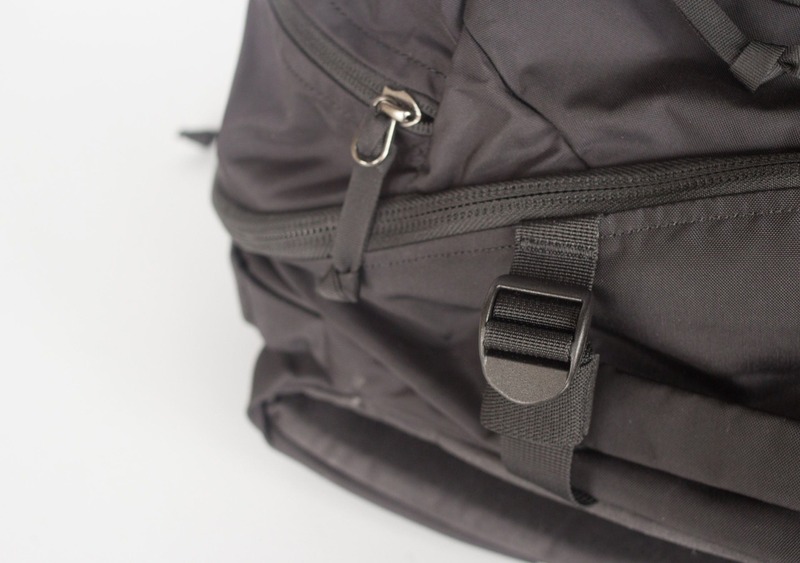 The shoulder straps are made of 500D textured nylon. This textured nylon gives the straps a bit more friction against your body, so they won’t move around as much. It also won’t soak up a ton of sweat when you’re wearing the bag. 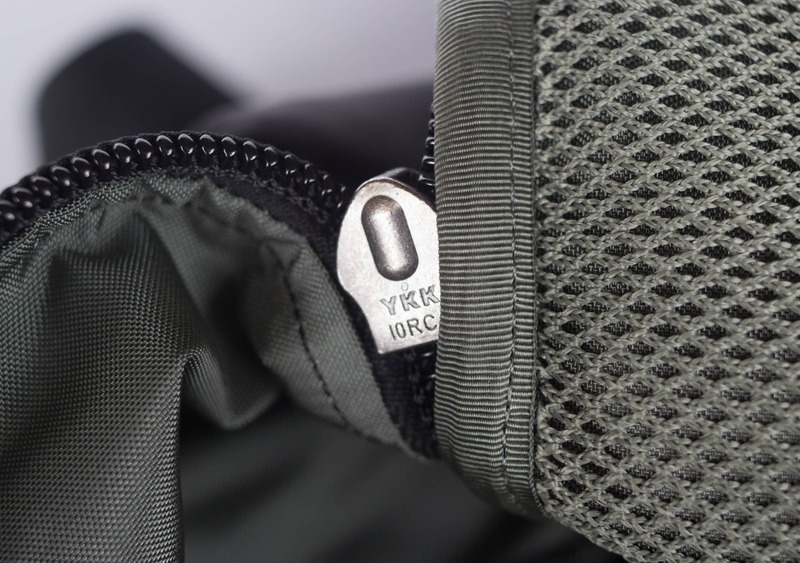 The main clamshell pocket has a beefy YKK #10RC zipper. The other pockets have slightly less beefy—but still pretty beefy—YKK #8RC zippers. The external buckles and compression strap adjusters are all made by Duraflex. This is a great, dependable brand that we always love to see. 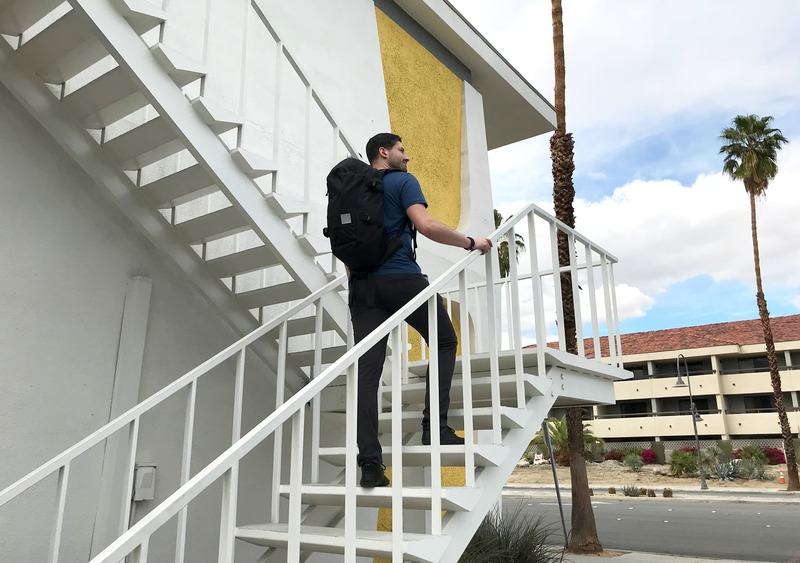 The shoulder straps contain EV50 EVA foam from ZOTEFOAMS, which has a high, even density across the board and long lasting compression resistance—meaning they’ll stay comfy for a long time to come. The frame sheet is made of 7075 Aluminum Alloy. If we’re being honest, they included so much information about this alloy it just about made our head spin. Readers Digest version: It’s as strong as steel but much lighter, and it’s almost certainly not going to rust. Their graphs show it to be much better than the 6061-T6 alloy—which is like, so obvious. 6061-T6 is totally lame, everyone knows that. So there you have it! As you can see, these materials are no joke. 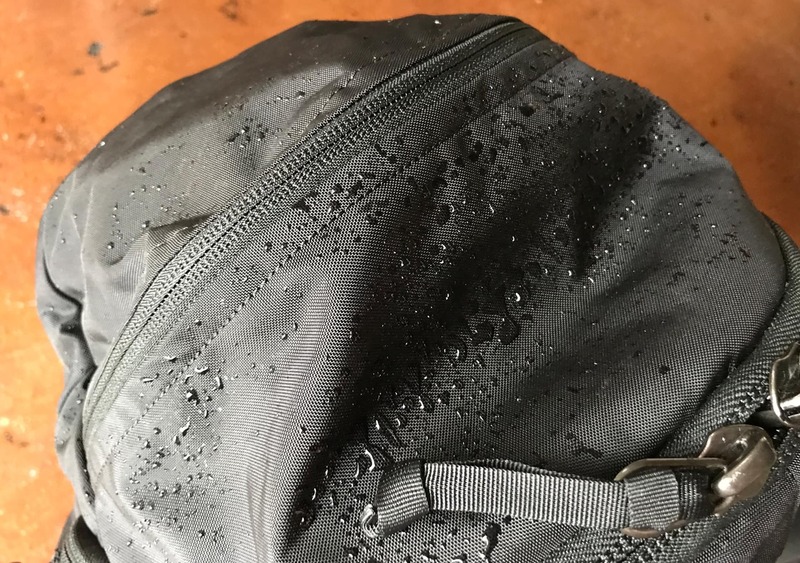 The denier on the exterior fabric and interior lining is lower than some other packs we’ve tested (like the 1000D GORUCK GR3) but between the high tenacity nylon, the weave, and that extra polyurethane coating, we’re pretty sure this stuff is going to last for quite a long time. Moving on to colors, EVERGOODS has kept things simple with just one variety—black. If we’re being honest, it’s probably the color we would have chosen anyway… So we’re not too bothered. We have found the black does accumulate dust pretty easily, similar to other black packs. We think the overall look of this bag is really nice. You can really see the collaboration between the Patagonia and GORUCK “mindsets” here—it really does look like a bag that the two brands would collaborate on. It kind of has the overall shape of a Patagonia bag with a bit of the tacticool, no-frills look from GORUCK. They have purposefully limited the amount of straps and buckles on the exterior of the pack so that it doesn’t snag on anything, and this also contributes to the overall minimalistic look of the pack, which we like. The shape of the pack is very ergonomic. You’ll notice that it is sort of curved in various parts—the back panel is curved to follow the contours of your back, there is a sort of wedge-shaped bottom where the hip belt is located, and the straps are also curved and contoured to fit your body. We have found this overall design to be very comfortable and form-fitting—it honestly feels like the bag is hugging you, sometimes. Who doesn’t like a good hug? That being said, this design doesn’t appear to fit every body type perfectly. We’ll get into that a bit more when we cover the harness system. This bag is also highly compressible, which is something we’re always looking for in the bags we test. 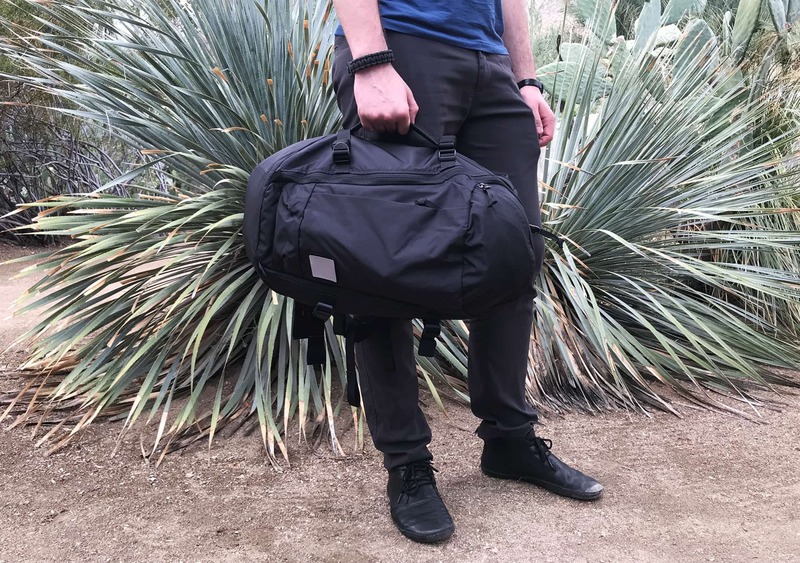 While it can carry quite a bit of stuff (30L total), if you happen to only have a few items inside you can really cinch down the compression straps and give this bag a super low profile. 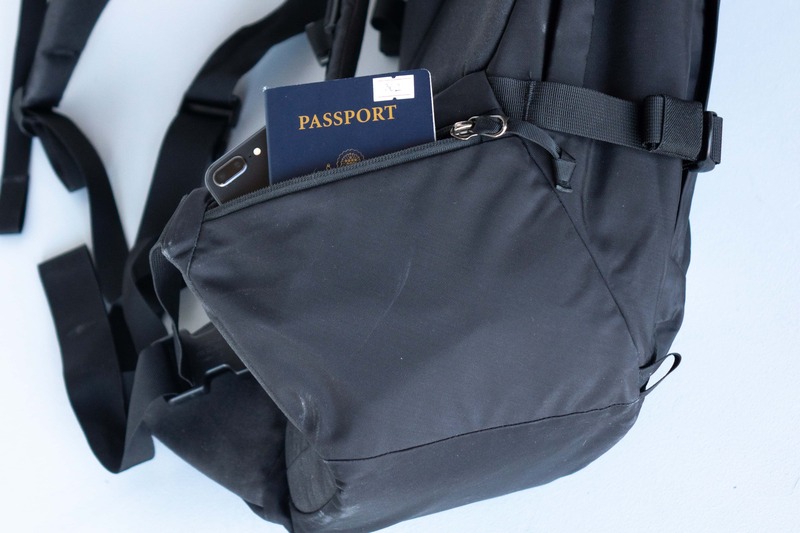 This is a huge pro in the travel category as you’ll easily be able to fit this in the overhead compartment or under your seat once you’ve compressed it down. Even without the compression, this thing will slide under most airplane seats. Finally, on the front of the pack you’ll notice that there is a small velcro patch. There is some super subtle branding here—if you remove the reflective patch that comes with the bag you can see that the EVERGOODS logo is actually stitched into the velcro! Love it. While they do supply a reflective patch, you could throw anything with velcro here. If you have a particularly awesome patch you’ve put on your MPL30, drop us a line! We’d love to check it out. Okay, now that we’ve gotten all those materials out of the way we can start diving into the good stuff. First up, compression straps. 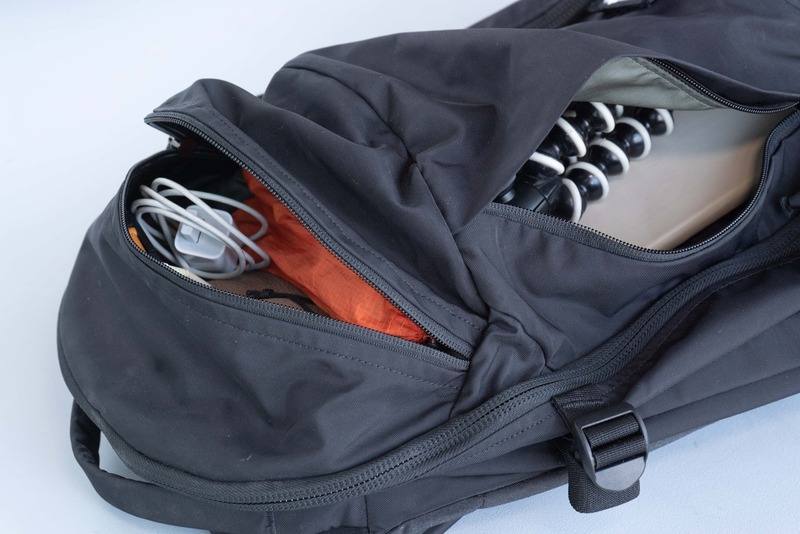 Compression systems can often be hit or miss with backpacks—they’re sometimes overly complicated, they can’t be stowed, or they conflict with the zippers on the main compartment. We’re happy to say that the compression strap system on the MPL30 is pretty much foolproof. It’s a straightforward, simple system that just works. 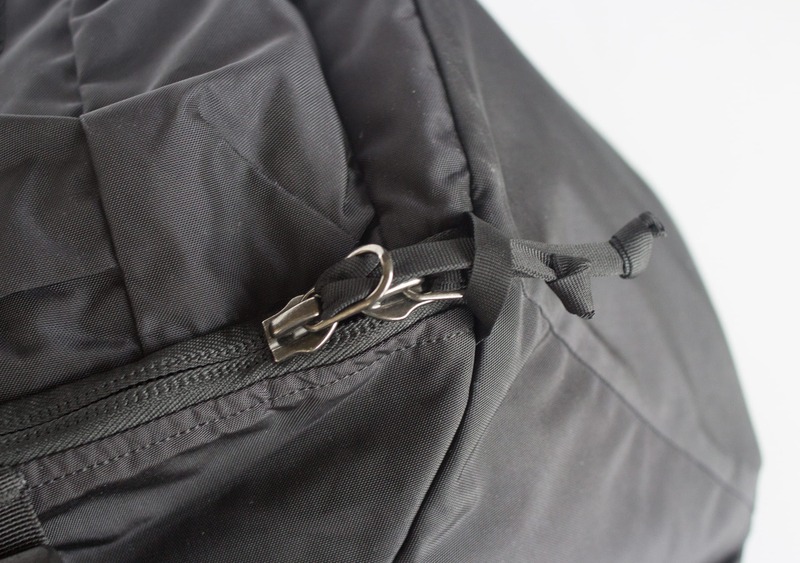 The straps are located right behind the main compartment zipper, so you don’t have to worry about clipping and unclipping them every time you need to get access to that main compartment. We’ve found that even though the straps are located pretty far back on the bag, they still compress everything nicely and function just as well as straps that go across the entire bag. As far as stowing the excess strap, there is a small little elastic loop on the end of the straps. If you didn’t know what these were for, you’d probably just write them off as useless—but these things are truly essential. When you have excess straps dangling, you can roll them up tight and then use that little elastic loop to secure them—just like you would wrap a rubber band around some rolled up cords to keep everything in place. This is an awesome feature from EVERGOODS that we really love, although the credit shouldn’t go to them alone. We’ve seen something similar on the Patagonia Arbor Pack, which clearly shows some of that Patagonia knowledge seeping into the design this bag. Very cool, and a super slick system. There is a side handle on the left side of the pack (when you’re wearing the bag it will be on your left side) and a top handle as well. These are really sturdy handles, and the side handle is very long which distributes the weight well. There’s a nice balance between squishy and firm here—they’re definitely comfortable, but still firm enough to be very ergonomic and sturdy. We have also found that you can really easily swing the bag off one shoulder and grab the side handle as you take it off. Because the side handle is so long it is super easy to do this in one fluid motion. Very ergonomic. Alright, we have to talk about this absolute beast of a harness system. From the back panel to the straps to the hip belt, this entire part of the pack is built to provide you with an awesome carry. The straps are curved, and they’re done in a way that allows them to naturally curve around your shoulders, into the center of your chest. Again, this helps distribute the weight a bit better than most shoulder straps would—you’re not going to feel the entire weight of the pack resting on your shoulders, it’s a bit more spread out throughout your entire torso (and into your hips, thanks to the hip belt and that wedge shape down there). You may have noticed that there are no load-lifter straps on this pack. 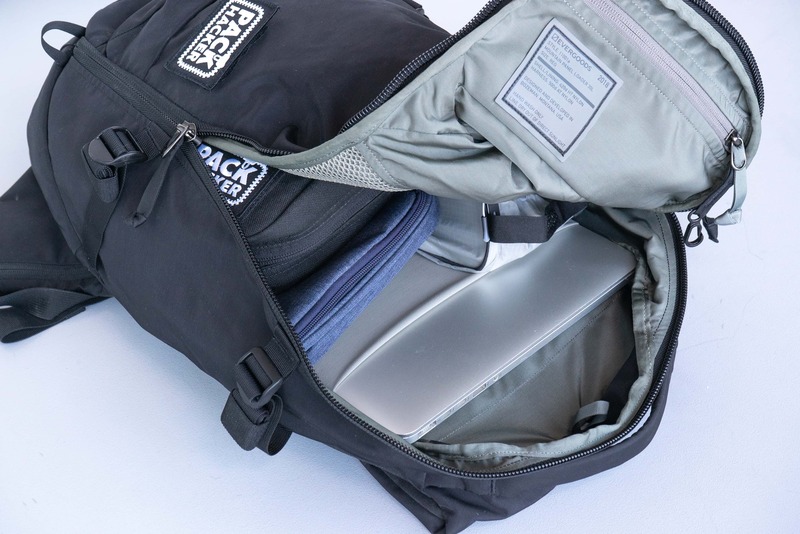 We’re a huge fan of load-lifters at Pack Hacker, but they really aren’t necessary for this bag. Load-lifters are mainly beneficial for bulkier bags that are more rectangular in shape, because you want to get as much of that weight as close to your back as possible. Because this bag is curvy and really contoured to your back, everything is already close to your back and shoulders. Towards the bottom of the pack, you’ve probably already noticed the wedge-like shape around the hip belt area… This area also contributes to the “hugging” effect because it really conforms to your body. The sides of the wedge form the base of the hip belt system, and there are two convenient pockets here to throw some quick grab items. This would be great for some snacks and could also be used for your phone and other pocket-items as you go through security at the airport. While all this contouring and hugging is great, this harness system isn’t exactly a one-size-fits-all scenario. If you’re upwards of six feet or taller, you shouldn’t have any problems here. If you’re on the smaller side—say, closer to five feet—or you have a wider frame, you may run into some problems. That wedged hip belt area can kind of start digging into you if it isn’t hitting at the right spots. Our main gripe with the sternum strap is that it isn’t completely secured to the shoulder strap… It’s kind of just looped under a piece of webbing. For all intents and purposes, it should be totally fine—but there is a very slight chance that it could just fall out. We would have liked to see some way to completely secure it to the shoulder strap. We also would have liked to see some way to stow the hip belt straps. Most packs will have some kind of system to hide these when not in use, but with the MPL30 you’ll always have straps dangling when the hip belt is not in use. 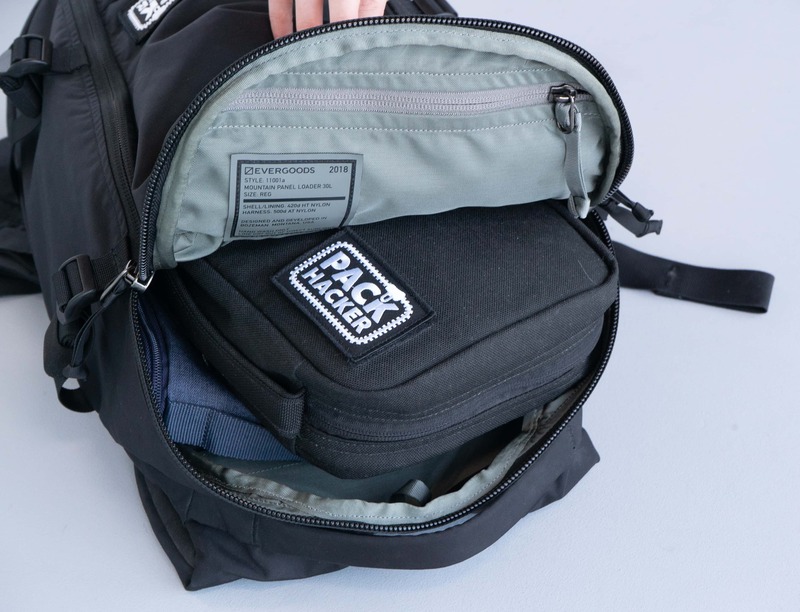 You can sort of shove the straps into those side pockets, but it’s a very half-assed solution—and one that certainly wasn’t intended by EVERGOODS. We don’t like half-assing things around here, so a more well thought out solution would have been nice to see. 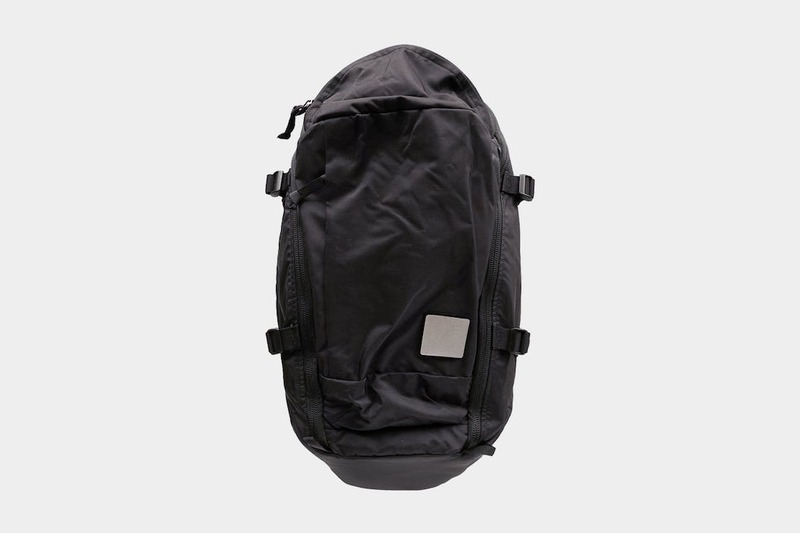 That being said, we do understand that this is more of a “trail pack” than a specific travel pack, which is almost certainly why EVERGOODS didn’t bother putting a hip belt stowing system on here. If you’re using this on the trail, you’re going to be using the hip belt about 90% of the time. Another gripe we have—which is, again, due to the “trail” nature of the design—is that the pack won’t stand up straight when you set it down. 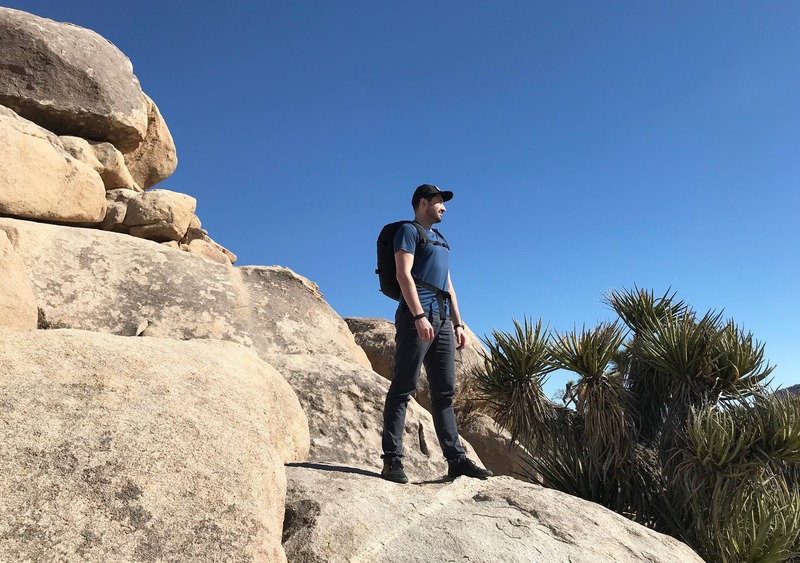 The curved design is intended to focus most of the weight on your hips to give a great carry on the trail, but an unintended consequence is that the pack won’t stand up straight. Oh well. It’s not a deal breaker, but it can be a bit of a pain if you’re working at a coffee shop or waiting around at the airport. Okay, we’re done nit picking… at least for now. One final exterior component is the sleeve that you can use for a water bladder. We don’t tend to use these for travel, but if you’re on the trail or even just doing a lot of walking around a city, it will be a welcome feature. There is an interior sleeve to store the bladder itself, and then you can run the hose up through the top of the bag and it will come out through the shoulder strap. There are sleeves on each strap, so you can choose which side you’d like it on. Pro tip: If you decide to use a water bladder during travel, remember to EMPTY IT BEFORE YOU GO THROUGH SECURITY. Otherwise you’ll have to wrestle the bladder out of your pack and empty it into a nearby trash can. Or you could just drink like an entire gallon of water in one go. That’s always fun. The last little doodads we wanted to mention here are the small “grabbers” at the bottom of the zippers. These are tiny little loops that you can grab when opening the pack—they’ll give you a bit of leverage and something to hold onto with your other hand so you can quickly rip open the zipper. 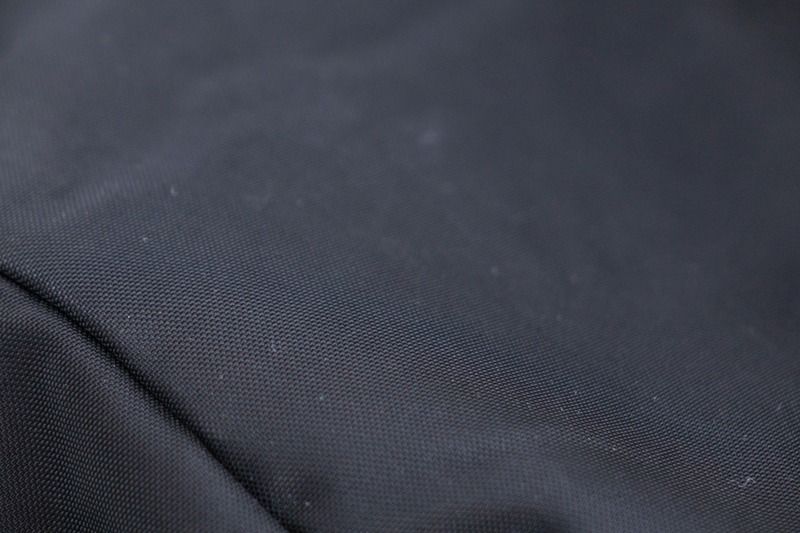 A nice, little feature from EVERGOODS that just makes this bag a bit more functional. Love it. We did notice a tiny added security bonus here—you can loop your zipper pulls through those little grabbers and make it just a bit trickier for someone to open your bag. We’re always looking for small ways to make potential thieves live’s harder. Anything you can do to increase the amount of time it takes to open your bag means a thief is more likely to get frustrated and move on to an easier prospect. Time to open this sucker up! To start off, there are two exterior pockets—one at the top and one along the front of the pack that has zippered side access. Both of these pockets have independent volumes, which is fantastic. That means that no matter how you pack the inside of this bag, you will always have room in the exterior pockets. This is an overall great feature and comes in really handy when you’re trying to fit a lot of stuff in your pack. The top pocket is good for smaller items that you want easy access to. Sunglasses, snacks, chargers, that kind of stuff. The independent volume actually makes it particularly good for sunglasses and fragile items because you know they won’t get smashed by whatever you have in the main compartment. 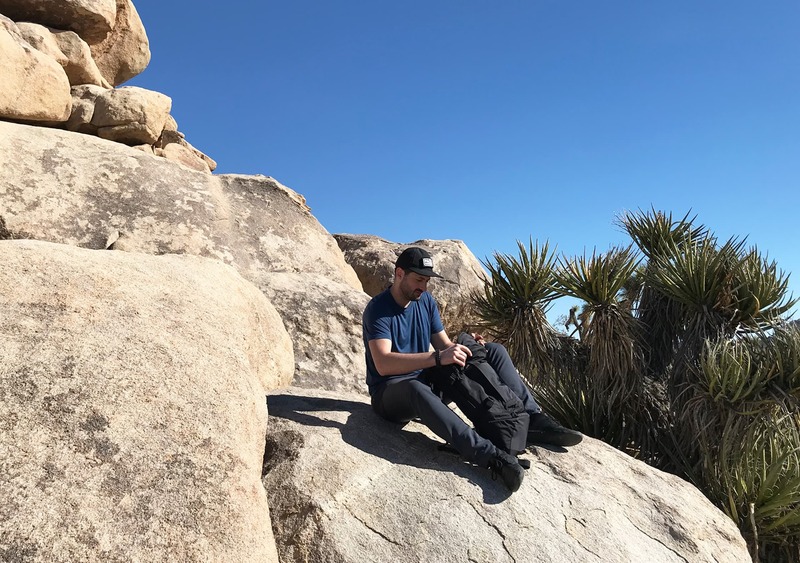 The side-access pocket is intended to be accessed by swinging the pack over your shoulder while you’re wearing it—just take off one shoulder strap and swing the bag in front of you. This is a great system and it works well, but we have been hearing a lot of complaints about it. The main issue people seem to have is that the zipper is on the left side of the bag, so you’ll need to swing the bag around the left side of your body. Seeing as most people are right-handed, this can be kind of a drag as you’re mainly using your left hand to get in and out of that pocket. To be honest, we haven’t had many problems with this. It’s not overly difficult to use if you’re right handed, but we understand where people are coming from. Maybe the next iteration could have access on both sides? We’re not even sure if this is possible, but it’d be cool. 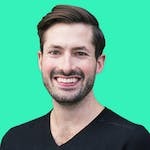 We just use backpacks, after all—we’ll leave the designing to the… designers. The main compartment on this pack is technically a clamshell, as it can open up completely, but it can also function well as a “pseudo top-loader.” You can open up the compartment and fold over the top part of the flap to use the bag just like you would a top-loader. But if you really need to access the entire compartment, you can simply unzip the entire flap and use it like a clamshell. Once you open up the entire compartment you’ll notice that there’s very little organization in here. You’ll probably want to use some packing cubes here to keep things organized, or else you may end up having some things spill out as you open the clamshell. The interior lining throughout the bag is a nice green color that contrasts well with the black exterior. We love different colored liners because it can be a lot easier to see what’s going on inside the bag. If you have a black exterior and a black liner, it’s really difficult to see the items inside and differentiate between the exterior and interior zipper pulls. The green is a nice, subtle approach compared to some of the bright orange or yellow interiors we’ve encountered. 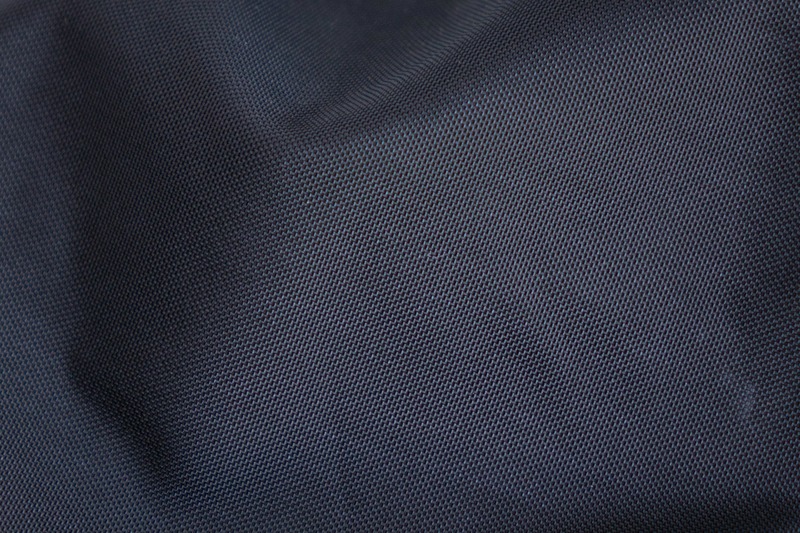 Keep in mind that this lining is the same exact material as the external fabric—420D High Tenacity Nylon. Usually you’ll see a much lower denier material for liners, so we were pleasantly surprised to see that EVERGOODS made an effort to ensure the lining would hold up just as well as the outside. On the inside of the flap there are two pockets. Right at the top there is a little “stash pocket” which perfectly holds a passport, even with a case. This would also be a good spot to store your wallet or some valuables, if you don’t want to put them in that exterior pocket. There’s a clip for keys as well, if that’s your thing. 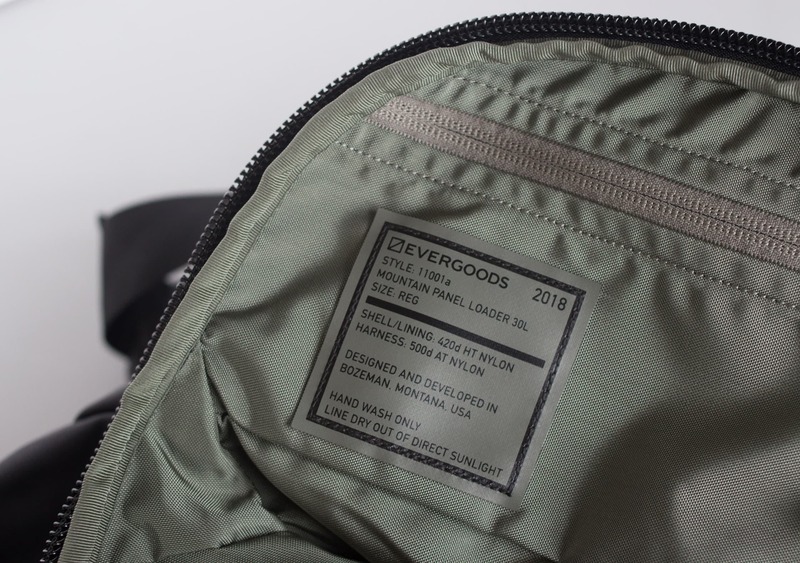 EVERGOODS has also put some subtle branding right near that top pocket, with a little patch that contains some details about the bag and how to care for it. Between this and the velcro patch on the outside, we really love the extra subtle branding they’ve put on this bag. Below the stash pocket you’ll find a larger mesh pocket. Keep in mind that due to the shape of the bag and the shape of this clamshell flap, the pockets are kind of trapezoid shaped—wider at the top and thinner at the bottom. You can really see this with the mesh pocket, so you’ll want to keep that in mind when packing this sucker up. 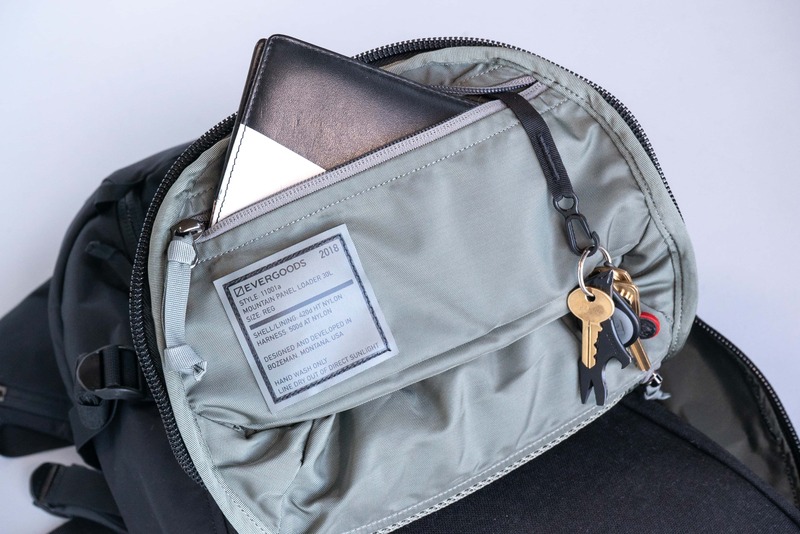 This pocket is good for some miscellaneous items that aren’t super bulky, although if you need to keep something flat—like a document of some sort—you’re not going to want to put it here. Opposite the flap is the main clamshell compartment. There is an elastic sleeve on the bottom here to fit your water bladder, if you decide to go that route. At the top of the sleeve is a small hook that you can hang the bladder from, to help everything stay in place. Note: We noticed an error in the video review. We mentioned that you would want to snake your water bladder hose through that hook at the top of the sleeve and then through the shoulder straps… Well, you wouldn’t really want to do that. You’re supposed to attach the actual bladder—not the hose—to the hook. Needless to say, we are terribly embarrassed about making such an amateur mistake and apologize profusely. If you’re not into water bladders, this sleeve does fit a 15” laptop perfectly. We’ve mainly been using it that way, and have no real complaints. The sleeve is padded nicely and there are even some holes on the two bottom corners, which help your laptop slide freely in and out. It’s not the most protective laptop sleeve we’ve seen, but it’s certainly not the worst. It’ll get the job done. One last note, there is a small velcro strip near that laptop/bladder sleeve. That is where the frame sheet goes, so it’s best to just leave that alone. If you open that thing up and start messing with the frame sheet, you’re going to have a bad time. At the time of this review, we’ve been testing the MPL30 for a few months on some trips around the United States. It has seen pretty much daily use, and we have zero complaints about durability during this time. The only thing we’ve noticed is that some dust has accumulated on the exterior fabric. 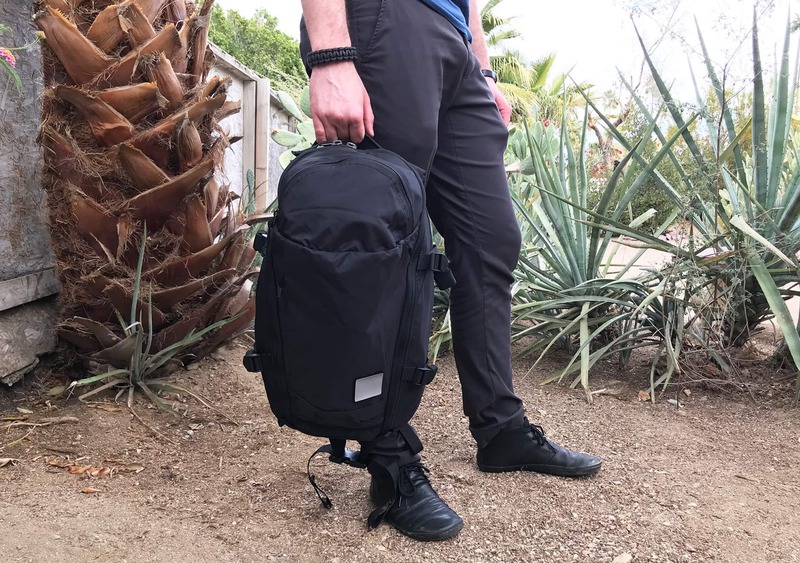 This bag is definitely better suited to the trail than it is to one bag urban travel, but if you’re looking for a good hybrid between the two, this would be a solid option. Most travel backpacks will have a more rectangular shape that can fit more and allow you to organize things a bit better. That being said, we were pleasantly surprised with how much we could fit in the MPL30—you just need to put a bit more thought into how you pack it due to the shape. The most impressive part of this bag is absolutely the carry. It’s super comfortable and it distributes the weight perfectly across your back and your hips. 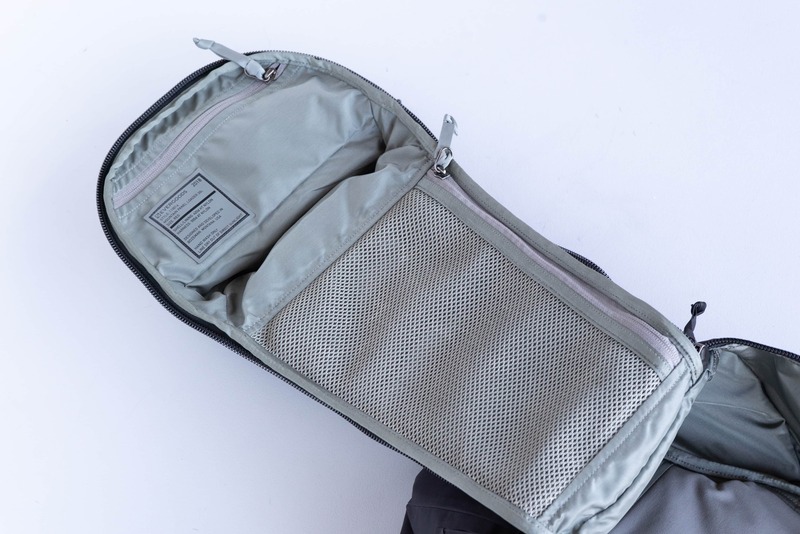 EVERGOODS clearly put a ton of thought into the design of this bag so that it will get the job done while still feeling great on your back—and they have succeeded in both of those departments. Looks great, no problems as of yet. This harness system is no joke. Working great, although a hip belt stowing system would be nice. Dangling straps! Still going strong, basically looks like new except for some dust. Nothing to report. Same ole, same ole. 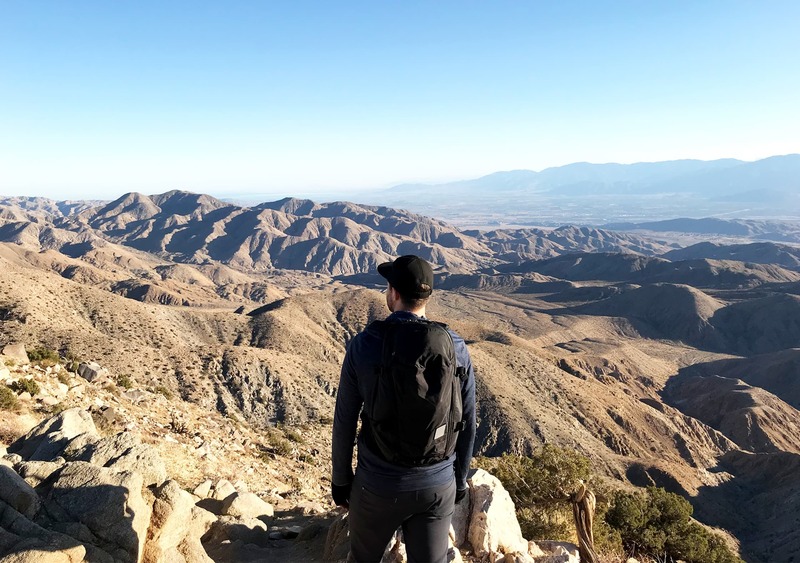 The EVERGOODS MPL30 is a durable, well thought out bag that is built for the trail but still functions well as a travel pack. Its ergonomic design makes it an absolute breeze to carry, and the materials used ensure that it will hold up for years to come. EVERGOODS has taken serious care to make sure that this pack is both easy to use and functional, which really shows. Our only problems with this pack were the dangling hip belt, the fact that the sternum strap isn’t fully attached, and that it doesn’t fit well on every body type. 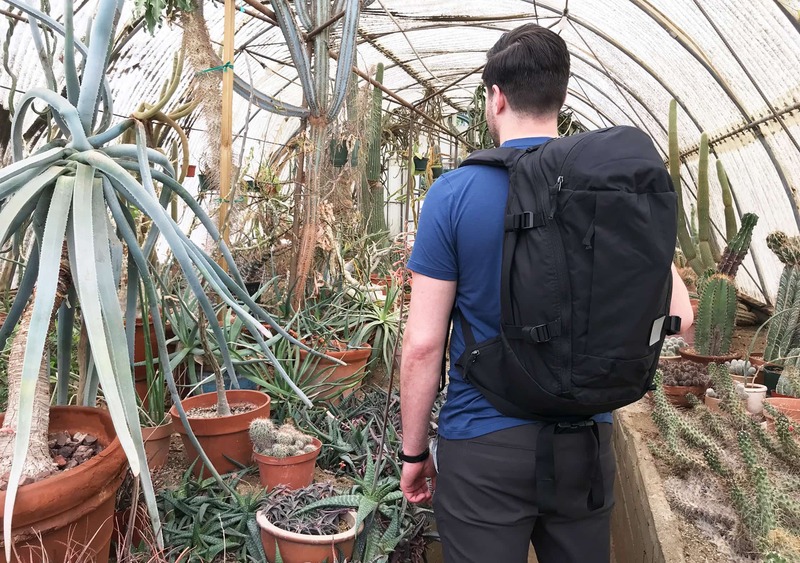 That being said, if you’re looking for a solid hybrid between a trail and travel pack, the MPL30 is a great option to consider.